As reported by us, comes with the function of acting beasts and new recipes with beasts. One of the recipes creates a level 86 armor with 6 linked sockets, the other rare animal 1/2/3 talismans. After the introduction of the Necromantic Nets in the last update, there is now a new minimap icon for the bodies of Rare or Legendary Beasts. Fixed a bug where various attack speed and physical attack modifiers did not apply to off-hand attacks, and thus did not apply to Spectral Shield Throw. So far, many of the nodes of the skill tree did not have the new skill, and the damage with the new shield design was very mediocre. That should change now and reinforce appropriate character builds. 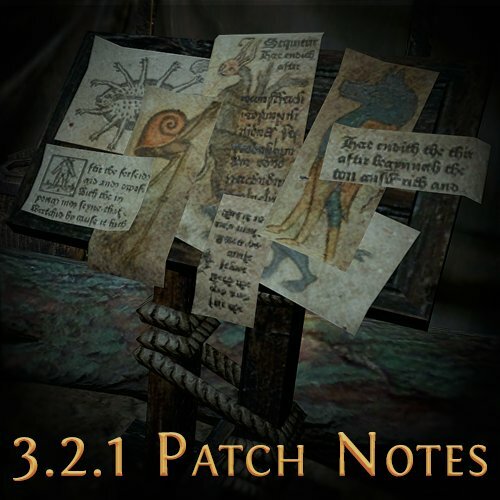 Afterwards you will find the patch notes for Path of Exile 3.2.1, which were previously only available in English. U4GM.com as one of the most professional online store which glad to share more Path of Exile News and cheap PoE items for sale with instant delivery. You can now trade Beasts with other players. Just buy a Bestiary Orb from Einhar and then use it on a specific Beast in your Menagerie. The resultant item can then be listed on trade sites and traded to other players via the secure trade screen. To let the monster out of the item, just right-click it. Adding a beast to your Menagerie this way does not grant progress towards the "Complete the Bestiary" challenge. Added two new sets of Beastcrafting recipes. The first set of recipes create various item level 86 Six-Linked Body Armours. The second set of recipes create Tier 1, Tier 2 or Tier 3 Rare Talismans. The Beastcrafting recipes that create an item with a specific type of mod now work on base types that you provide (and scour that item first). This allows you to craft that type of mod onto a specific base type that you prefer. Added 3D art for the Indigon unique helmet. Added a mini-map icon for dead Bestiary Rares and Legendaries. Re-ordered Beastcrafting Recipes so that the more valuable recipes are grouped together near the top. Bestiary Uniques dropped by Spirit Bosses are now allocated to the Menagerie owner. Throwing a net at a group of monsters now intelligently chooses a nearby target (higher-rarity first). Increased the speed of throwing nets. While a Necromancy Net is equipped, Corpse Targeting is now possible by holding down the assigned hotkey. Slightly increased the amount of time until a beast is captured in a party to better allow multiple party members to capture the same beast. Beasts that enrage now gain a damage reduction that decays over time, in order to prevent accidentally killing a beast that you want to capture. Einhar’s capture dialogue no longer plays 100% of the time. Slightly increased the volume of the audio played when a beast breaks free of your net. Added a keyword that item filters can use to disable default drop sounds. The keyword is "DisableDropSound". After capturing a Beast, if you only have room in your Menagerie for one more of that genus, then a message warns you that you’re running out of space. Added a text output to chat when successfully capturing a beast. Reduced the amount of nets dropped by Bosses. Slightly reduced the drop chance of nets overall. Summoned Carrion Minions can no longer be captured. Carrion Minions that spawn naturally can still be captured. Beasts spawned by Tora missions can now be captured. Bestiary Rares and Legendaries can no longer spawn in Oba's Cursed Trove. Nets are no longer usable in this Map. Fixed a bug where Stairs to the next area would not always open correctly in the Oba's Cursed Trove unique map. Fixed a bug where the "Create a Unique Map" Beastcrafting recipe would fail to generate a Unique Map if the level of the Fenumal Scorpion was 70. Fixed a bug where various attack speed and physical attack damage modifiers did not apply to off-hand attacks, and thus did not apply to Spectral Shield Throw. Fixed a bug where Catarina minions did not drop items as intended. Fixed a bug where beasts spawned by Legendary Beasts at specific health thresholds would sometimes fail to spawn in areas without enough open space. Fixed a bug where the Farric Presence, Saqawine Presence, and Fertile Presence Bestiary mods did not behave correctly. Fixed a bug where Einhar was able to block players. You can now dismiss Einhar by selecting the "Dismiss" option while interacting with him. Fixed a bug where Fenumus, First of the Night was not capturable by Necromancy Nets. Fixed a bug where captured beasts would sometimes not be loaded, causing it to appear as if you had no captured beasts. Fixed a bug where Ventarus was able to be killed while being captured, preventing completion of The Feral Lord V Prophecy. Fixed a bug where the Whispering Tome from the Unbearable Whispers V Prophecy chain dropped an Inya’s Key, in addition to the Inya’s Key dropped by Inya, the Unbearable Whispers. Fixed a bug where the Deadly Twins prophecy could trigger in the Uber Elder encounter. Fixed a bug where the "Rare Boots with Movement Speed" challenge was not successfully completed by all appropriate Beastcrafting recipes. Fixed a bug where the "Unlock Sextant Slots" challenge sometimes did not update correctly. Fixed a bug where you were able to throw a second net onto a monster that you were in the process of capturing, causing the net to be wasted. Fixed a bug where the "+X to Total Mana Cost of Skills" mod on Doedre's Malevolence applied to throwing a net. Fixed a bug where two ape monsters were not able to be killed in a Blood Altar encounter. Fixed a bug where the "Hide Unusable" setting in the Blood Altar was not remembered when closing and re-opening the Blood Altar. Fixed a bug where Zana's "Take Shaper's Orb" dialogue option was visible even though there was no Shaper's Orb available. Fixed a bug where Zana's "Complete another Master's mission" mission was able to be completed by killing the Map Boss. Fixed a bug where Frost Blades projectiles were not exploding correctly when hitting walls / objects. This was only a visual issue. Fixed a bug where the portal to the boss room in the Laboratory Map could disable incorrectly. Fixed a bug with Farrul's Fur causing Frenzy and Power Charge duration to not refresh when gaining Cat’s Stealth at maximum charges. Fixed a visual bug in Farrul’s Den at low frame rates with Dynamic Resolution enabled. Fixed a bug causing minor desync when deactivating Bestiary Aspect skills. Fixed a bug preventing some players from progressing through the Einhar questline. Fixed a rare bug preventing some players from progressing through the Uber Elder questline. Fixed a client crash that could occur when when entering various areas. Fixed a rare client crash that could occur when taking a quest reward. Fixed a rare client crash that could occur when viewing items linked in chat by another player whose client was out of date. Fixed various other client crashes.